Many financial miscues can cause a credit score to fall. A declaration of bankruptcy, missed credit card payments and late auto-loan payments can all hurt your three-digit score. Few financial problems, though, can damage a credit score quite as significantly as a housing foreclosure. A foreclosure can drop a credit score by 100 points or more. 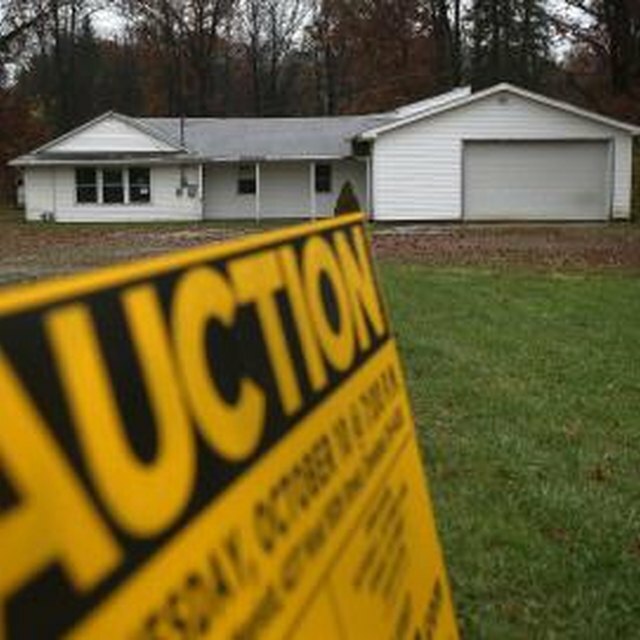 A foreclosure will drop your credit score from 85 to 160 points, according to Fair Isaac, the company behind the FICO credit score. Where you fall in that range depends on several factors, including your prior score, how much credit card debt you carry and whether you've had a previous history of missing monthly payments. FICO scores range from 300 to 850. Getting a new mortgage loan -- or even a car loan or personal loan -- after a foreclosure is not easy. You won't be able to qualify for a loan guaranteed or owned by Freddie Mac or Fannie Mae for at least seven years after a foreclosure. This wait period is three years for loans insured by the Department of Housing and Urban Development's Federal Housing Administration and two years for loans insured by the Department of Veterans Affairs. Conventional loans -- those not insured or guaranteed by the government -- come with foreclosure wait periods that vary by individual lenders. Most lenders today consider credit scores of 740 or higher on the FICO scale to be excellent -- scores that come with the lowest interest rates -- and it's not easy to achieve such a score after a foreclosure. Even if a lender approves you for a mortgage loan, you'll usually be charged a higher interest rate that will boost the size of your monthly payment. How Do I Increase My FICO Score From 609 to 620? A foreclosure doesn't mean that you'll never be able to take out a mortgage loan again. You can steadily rebuild your credit score by paying your bills on time and reducing any credit card or other debts with regular payments. Your foreclosure remains on your credit report for seven years, but over time, if you practice good financial habits, its impact will fade. myFICO.com: How Long Will a Foreclosure Affect My Credit Score?